Adventure awaits you with the 2019 Land Rover Range Rover. Here is where luxury meets capability. At the heart of every 2019 Land Rover Range Rover is a powerful engine and inside the SUV’s cabin is a place of refuge. On the road this SUV is ruthless with precision handling and a sporty performance. The SUV’s aerodynamic styling and modern curves will entice, while its spirited personality and elite cabin will win hearts. Choose from a variety of trims, accessories packages and engine options. No matter which 2019 Land Rover Range Rover you choose, every model comes equipped with a generous selection of premium features. Even the base is standard with a 13-speaker Meridian sound system, three-zone climate control, a 10.2-inch infotainment touchscreen and much more. If not its good looks, then its sporty handling is sure to turn heads. 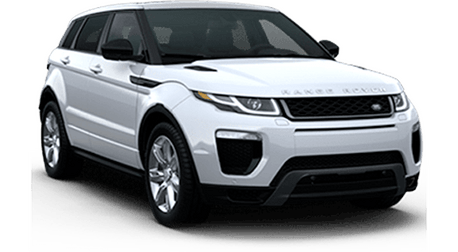 The 2019 Land Rover Range Rover moves with grace and athleticism, whether you’re off-roading or are running errands across town. 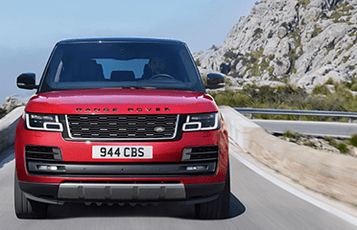 Navigate narrow city streets with nimble precision and maintain control even in tough road conditions all thanks to the 2019 Land Rover Range Rover. 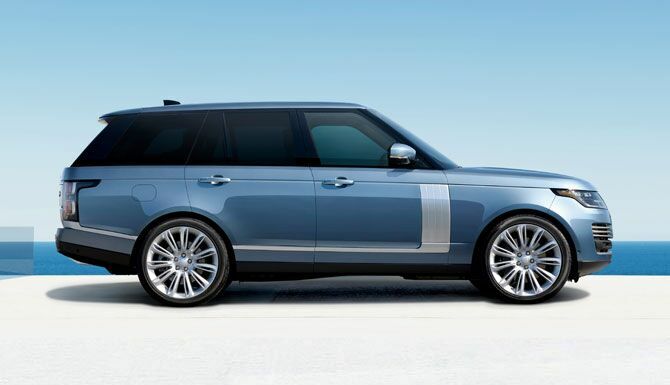 This sophisticated SUV is a creature of luxury and promises to take good care of passengers. 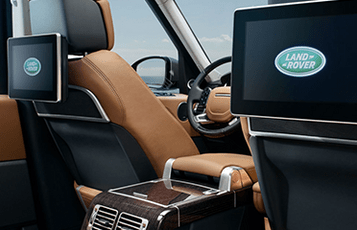 Take a step inside the Range Rover’s cabin and you will see exactly what that means. The cabin is spacious with plush seats, premium features and amble light. 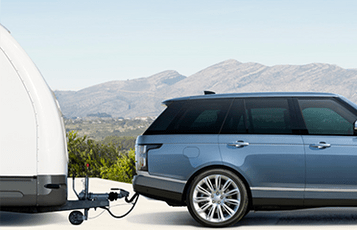 Maybe most importantly, the 2019 Land Rover Range Rover keeps the cabin quiet and comfortable no matter how long the journey or how noisy the roadways may be. Tackle any adventure thanks to the 2019 Land Rover Range Rover. It has up to 7,716 pounds of towing power, all-wheel drive, a diesel engine option and much more. Select models are also available with All-Terrain Progress Control, which makes it easy to keep a consistent speed when off-roading without having to set and reset the cruise control.